Are you interested in applying for a credit card, but concerned that your credit rating will hinder your ability to receive an approval? Check out the First Access Visa. If so, the First Access Visa credit card may be the offer you’ve been searching for. With this, you can gain access to all the benefits and features of a traditional Visa credit card, all without the requirement of good or excellent credit. 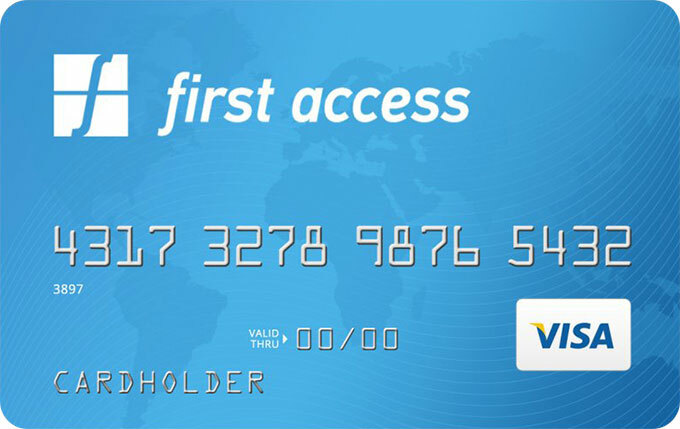 First Access Visa eliminates the stress associated with applying for a credit card. Since it’s designed for consumers with less than perfect credit, you can complete an online application and receive an approval (hopefully) in 60 seconds or less. From there, if you receive an approval, you can immediately move forward to finalize the process and secure your very own credit card. If approved, there’s only one last thing you need to do: pay an $89 processing fee to open your account. With hundreds upon hundreds of credit card offers, it’s not always easy to settle on the one that’s best for you. Fortunately, the benefits of the First Access Visa credit card are simple to understand. Everything is laid out in an easy to understand fashion, ensuring that you know exactly what you’re getting. You don’t need good or excellent credit to apply for the First Access Visa. It’s open to anyone, even those with a less than desirable credit history and score. It provides all the same benefits of a traditional credit card. You can apply online and receive a response within 60 seconds. It can be used both online and in store at any merchant that accepts Visa. The fee schedule is competitive when compared to other credit cards. These aren’t the only benefits of carrying the First Access Visa credit card, but they’re among the most important. With this information in hand, you should have a better idea of if the First Access Visa credit card makes sense for you. If you don’t have a strong credit history and your credit score needs some work, you should consider applying for the First Access Visa. Not only does it provide you with the benefits and features of a traditional credit card, but it’s also a great way to build your credit history and boost your credit score.